Our All Levels Workshop is unique because our students get to create their own personal acrobatics adventure. Higher level offerings will have separate pre-requisites that will need to be met in order to participate in the workshop. We will cover classic techniques, explore new Acroyoga material including transitions flows and dance lifts. Progressions will be adapted to each level. Recommended for those who begin to explore the practice of Acroyoga and for those who already have a regular and consolidated practice. 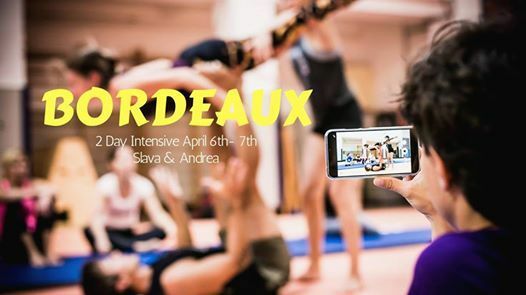 * SUNDAY * If you have an extended practice in Acroyoga, or if you attended our Saturday full day, this workshop is perfect for you. We will emphasize the importance in communication, fluidity and precise technique in AcroYoga. The flows, washing machines and transitions will present a high content in creativity, resistance and precision. 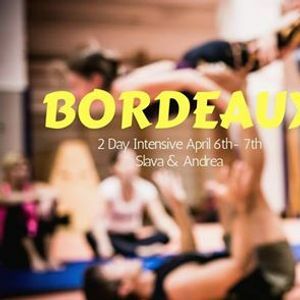 If you currently teach Acroyoga classes or plan to do so, we recommend you attend the full weekend workshop to be able to offer you a new perspective in the field of education including a good source of transmission of techniques and values ​​to your students. Slava from Vancouver, Canada. Leader in the acrobatic community of Vancouver and founder of VanCityAcro. He is internationally recognized for his Teacher Trainings, AcroYoga and Yoga retreats in exotic places of the world and for his high content in creativity, perseverance and rhythm that he puts into each flow he creates. Always giving special importance to flexibility, fluidity and the use of force efficiently. Andrea founder of Acroyoga International BCN has been formed in the Acro community of Vancouver and San Diego. She´s an acro revolution and VanCityAcro teacher and teaches Acrobatic Dance in Barcelona. 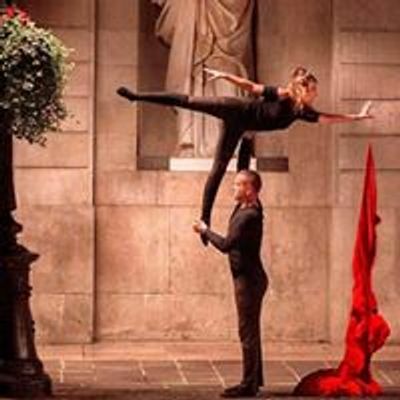 She currently continues to offer workshops in Barcelona and teaches internationally offering intensives and courses at festivals such as AcroLove (San Diego), the Vancouver Acro Fest etc. Her style is clearly a theatrical and exotic fusion of movement acquired by different cultures. Their acrobatic knowledge is a fusion of several disciplines such as circus, gymnastics, Chinese discipline, martial arts, yoga and dance. Indigo Mayi en concert Live au LOFT 33 !